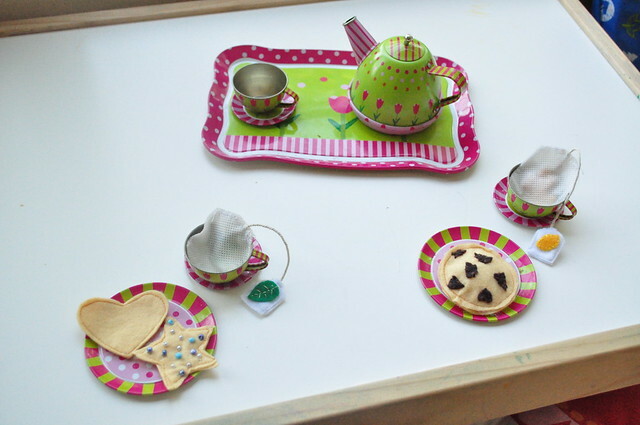 I had some fun stitching going on Saturday morning... and then we had some tea parties over here. chocolate chip, Oreo's and sugar cookies. They are DE-LICIOUS! want the recipe? 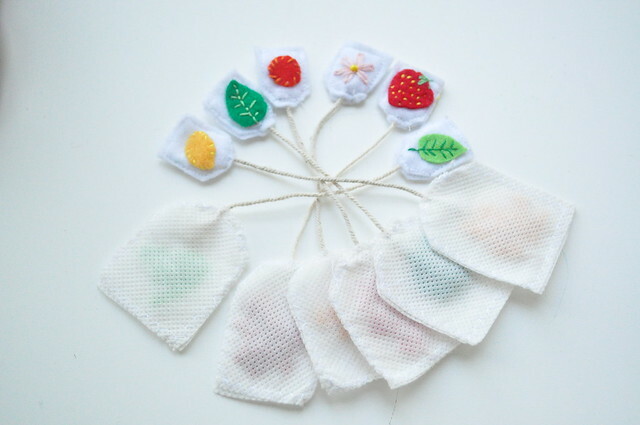 all you need is some felt, a bit of embroidery thread, some seed beads for the sugar pearls (if you make this for little kids you can just embroider this part with french knots) and some time! 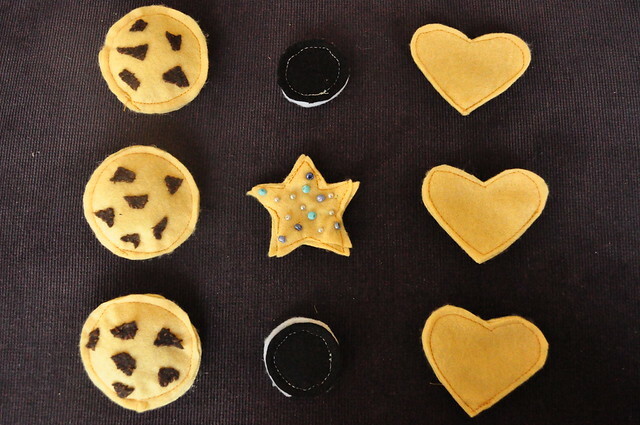 cut out cookie shapes, hand stitch the chocolate chips and sugar decor in place, machine stitch two layers of felt together and you're done. 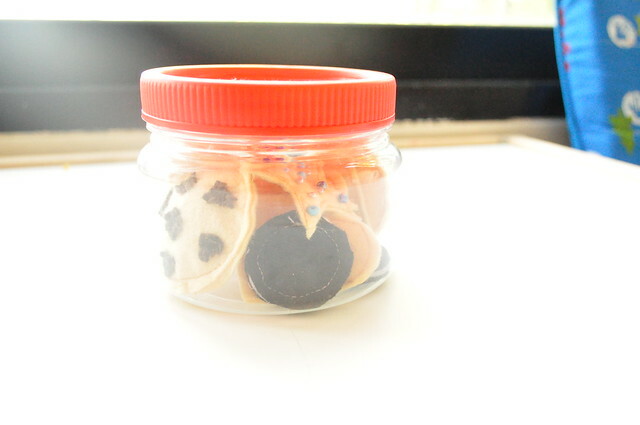 For the Oreo's I used one black layer on each side and two white felt layers for the filling.